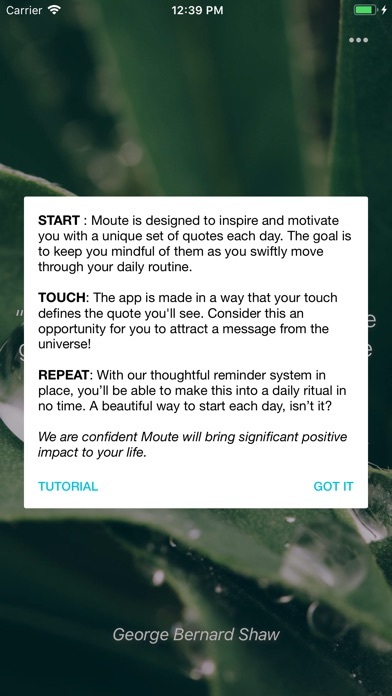 Moute is designed to inspire and motivate you with its collection of quality quotes, every day. Be prepared to be amazed by its simplicity and elegance! FEATURES : -Handpicked quotes with very high-quality standards. -Personalized method for quote selection so that your actions affect what you read. -Beautiful HQ background pictures. -A daily reminder system to inspire you every day. -Simple and elegant user interface. -Easily share the quotes with your loved ones on social media. -Save as an image in your gallery. -Works offline -No Ads. The idea here is simple, read one quote a day. But which one it will be, is unconsciously controlled by you! We consider this an opportunity for you to attract a message from the Cosmos. 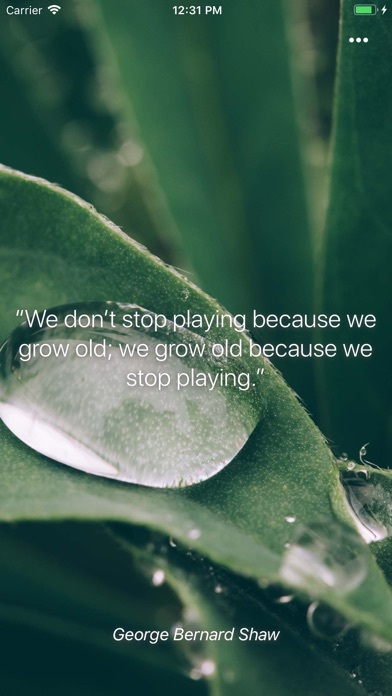 Once you read the quote, try to be mindful of it during the day. 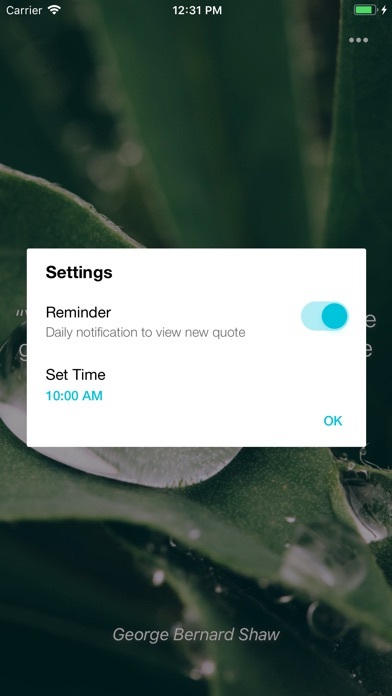 And to make it a daily ritual our notification system will remind you every day. The fundamental goal here is to bring significant positive impact to your life. So let's inspire and be inspired!